Disappearing bees – countdown to catastrophe or one to watch? ‘You would have to be living on Mars for the past few years not to be aware of the bee problem,’ said Dr Stuart Roberts of Reading University’s Centre of Agri-Environmental Research, speaking at the Federation of Middlesex Beekeepers Association’s annual Beekeepers Day on Saturday 25 February. Like many new beekeepers, I had heard about the ‘bee problem’ and started beekeeping to find out why this was happening and what I could do to help. So I was excited to find out that Dr Roberts would be giving a talk on ‘The decline of insect pollinators’ at our Beekeepers Day. His presentation looked at whether bees are disappearing, what are the drivers of their decline, why does it matter, and what can be done about it. But first, what do we already think that we know about the bees disappearing? 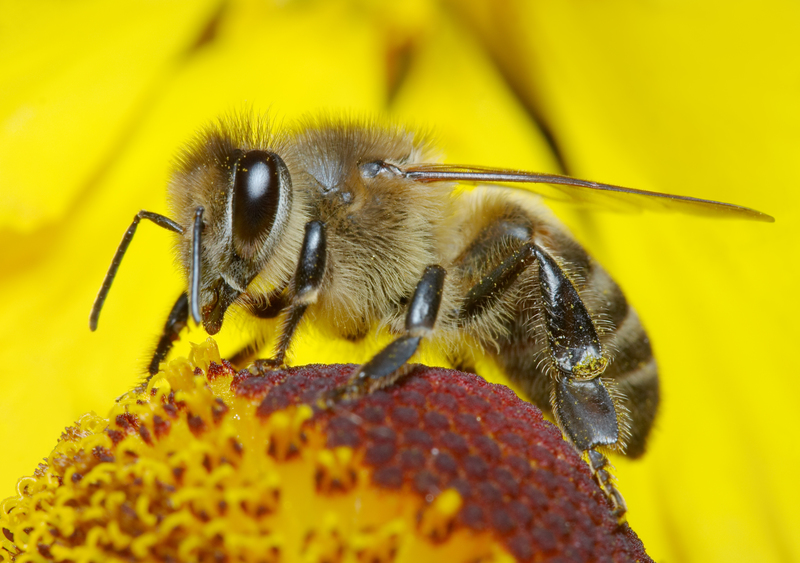 Bee decline – a widely held belief? This quote, attributed to Albert Einstein, may have catapulted the plight of the bee into the public imagination. However, there is no real evidence that Einstein said this – the earliest written record is from a group of French beekeepers in 1992 – and also the statement is not entirely true. While life on Earth would be considerably less pleasant without bees, it is unlikely that we would vanish with them. Yet almost every week there seems to be another headline about bee disaster and imminent catastrophe – from varroa mites and chemical pesticides to giant Asian hornets and zombie parasites, the poor old bee isn’t having much luck. The media has helped to raise public awareness about the bee, but also may have promoted a few bee myths. Dr Roberts’ talk sorted fact from fiction with evidence-based research from Reading University, and left me feeling encouraged that we can all do something to help both the honeybee and other bee species. To discover if the decline of bees is real or imagined, we need to ask the question: ‘Does it affect all bees everywhere?’ said Dr Roberts. While in the UK we have only one species of honeybee (Apis mellifera), which the media often refers to as ‘the bee’, we also have around 25 bumble bee species and around 240 other bee species such as solitary bees. Worldwide there are about 9 species of honeybees, 240 species of bumble bees and 19,300 other bee species of incredible variety. So counting numbers of bees to determine whether all bees are in decline is a huge task. Diversity of bee species is not the only challenge to scientists. Data also presents a problem because it is inconsistently gathered across different countries, and often widely scattered in obscure journals. The migration of colonies across vast areas for the pollination industry, such as in the US, makes it more difficult to gather reliable information about bee colonies. Therefore, Dr Roberts and his colleagues at Reading University’s Centre of Agri-Environmental Research have spent the past four years collecting data on the numbers of honeybees, and other bee species, in the UK and the Netherlands. Their findings revealed that there has been a 23% decline in bee colonies and a 36% decline in beekeepers in central Europe since 1985. The diversity of bee species is also now in decline, although, as Dr Roberts commented, it is worth noting that some species of bees are simply rare! Unsurprisingly, this research suggested parallels in the decline of insect pollinators and the plants that they pollinate in both the UK and the Netherlands. But also: ‘Does it effect all bees?’ Yes. And: ‘Does it occur everywhere?’ Yes. This led to the next question. What are the drivers of decline? For each theory on why the bees are disappearing, there is an outlandish suggestion, said Dr Roberts. Some of these are merely fanciful from car exhausts and electro-magnetic fields, ‘For which there is not enough evidence’, to mobile phones, ‘Responsible for every evil on the planet’. Then there are theories that are just bonkers from Osama Bin Laden, ‘At least now testable’, to the Rapture, ‘Difficult to test’. Unfortunately, the most likely driver of decline is an unlikely driver of news headlines around the world. The cause of the decline of pollinating insects is multifactorial, Dr Roberts explained: ‘Science would be easier, but a lot less interesting if everything could be hung upon a single cause’. All things that make humans feel stressed and unwell too! Combine the bee’s stressed and weakened immune system with varroa, the small hive beetle and a pathogenic cocktail of other bacteria, viruses and parasites – and you can see why there might be a problem. However, there is one headline on which most experts do agree. There is already a concern among some London beekeepers that there may not be enough plants to support the increasing numbers of urban hives. While you might imagine that this could be a potential problem for city bees, who face the same problems as people living in densely populated areas, unfortunately their country cousins aren’t doing much better. Reading University is continuing to look at the synergy between insect pollinator decline and the decline of their natural habitat, but other studies show that this is very likely to be a significant driver of decline. Climate change is currently not too much of a threat, said Dr Roberts, although it has the potential to be a clear driver for the future. Who cares if bees disappear? Beekeepers and farmers do. Häagen-Dazs is also quite worried about the bees disappearing, apparently, because many ingredients of their flavoured ice cream are dependent on insect pollination. Wider society should also be worried: the value of insect pollinators to UK agriculture is £402m per annum; of which honeybees contribute £38m per annum. Everyone who enjoys eating apples should care, because they are solely pollinated by bees. What’s the alternative to insect pollination? There isn’t an alternative. Dr Roberts sent a group of students from Reading University armed with paint brushes on a mission to find out how long it would take for people to pollinate plants. The results were painstaking and confirmed that the value of protecting insect pollination is high. This is similar to a story that I have heard before. Last year, John Chapple of Ealing and District Beekeepers Association and beekeeper to the queen’s hives at Buckingham Palace, told us about his visit to Oman, as part of a group of beekeepers, to help reintroduce the honeybee to the country. 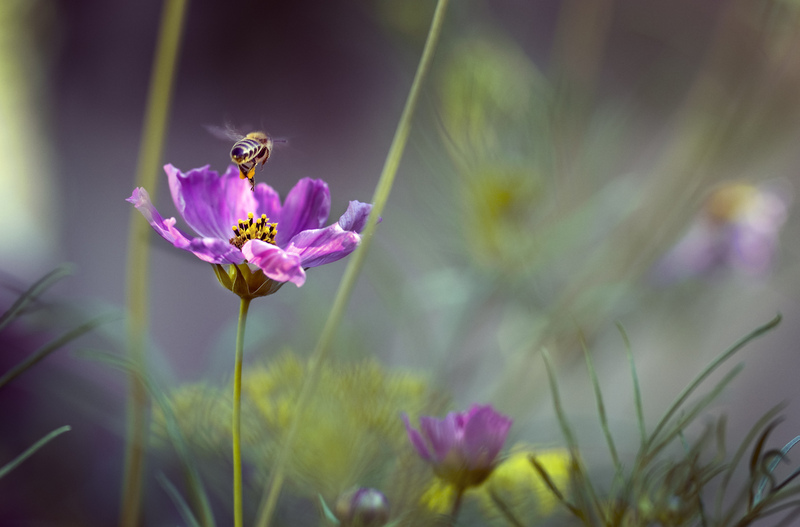 One of Oman’s major exports is dependent on bee pollination – dates! The Omani government is now investing in a state-funded national beekeeping programme, after finding out to their cost that human labour to pollinate date palms is not a viable option. What can we do to help the bees? Dr Roberts said that governments could help bees by adopting agri-environmental policies, promoting conservation action and continuing to raise public awareness about the bee problem. He stressed the need for monitoring programmes, investment in sound science that is evidence-based, and consistent data that is made readily available. Bees need gardeners – plant bee-friendly plants in your garden and make sure that there are enough flowers for bees to forage from early spring to autumn. Solitary bees need keeping too – put up a ‘bee hotel’ to make a home for other bee species in your garden. Other ways to help bees include telling your family and friends how they can help too, taking part in a sponsor-a-hive scheme, and fundraising for bee charities by organising a cake sale or a book swop! So it seems the disappearing bee is one to watch rather than a countdown to catastrophe. Dr Roberts gave me a clearer picture of why bees are starting to decline and also what we can do to prevent it. I would like to say a special thanks to Dr Roberts for speaking at our Beekeepers Day and for sending a copy of his paper. You can find out more about Dr Stuart Roberts work on his web page at Reading University’s Centre for Agri-Environmental Research. You can read more about Dr Roberts’ talk ‘The decline of insect pollinators’ on Emily’s blog and I highly recommend her post on John Chapple’s talk about the disappearing Omani bee. Bees, Wasps & Ants Recording Society (BWARS) is the national society dedicated to studying and recording bees, wasps and ants (aculeate Hymenoptera) in Britain and Ireland, of which Dr Roberts is the chair. 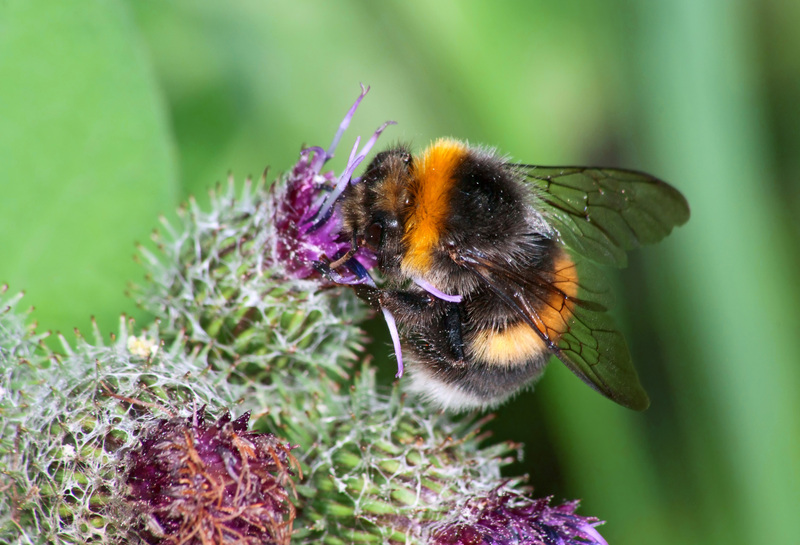 The British Beekeepers Association (BBKA) is the UK’s leading organisation representing beekeepers with useful information on planting bee-friendly plants, bee hotels for your garden, and an adopt-a-bee scheme. 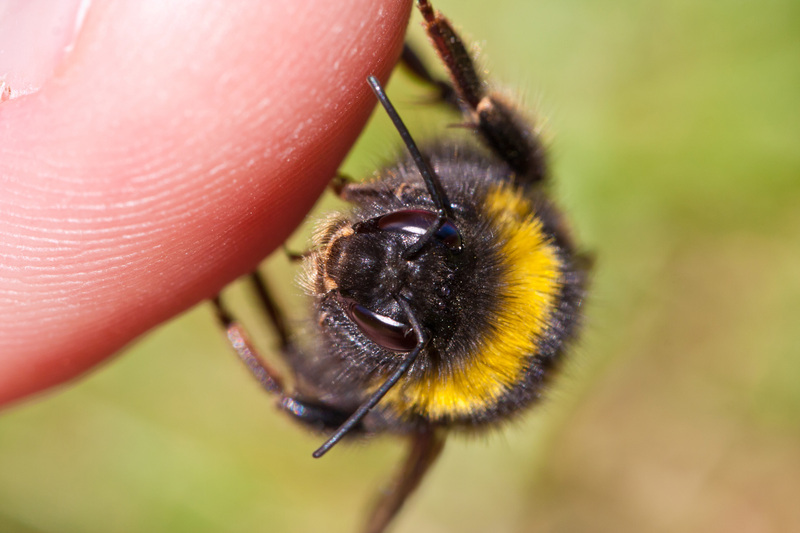 The Bumblebee Conservation Trust (BCCT) aims to prevent further declines, and to raise awareness of the problems bumble bees face. 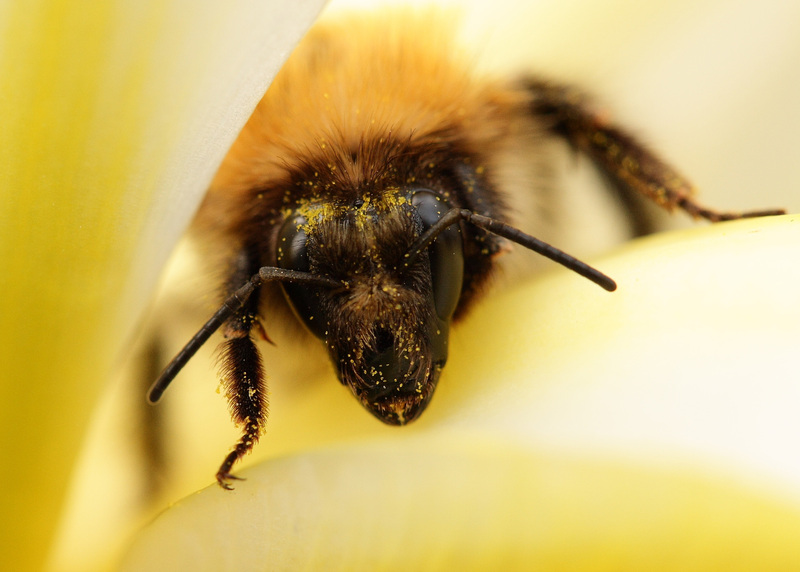 This entry was posted in Bees and tagged BBCT, BBKA, bee, bumble bee, BWARS, disappearing bees, Dr Stuart Roberts, honeybee, insect pollinators, solitary bee by Emma Maund. Bookmark the permalink. Thanks for getting the link to the paper. It’s been interesting that since I did a post with a few notes about John Chapple’s visit to Oman last year, a lot of people have been finding my blog by searching for ‘Omani bees’, wonder if you will find the same thing. Mmm, these days I usually get ‘monkey fish’ in my search stats! ‘Omani bees’ would make a change. John’s talk about Omani bees remains my favourite scout hut meet-up from last year, it was such an interesting account and he is such a good storyteller. I asked him afterwards about an article for the website (and my blog) but he was a bit shy! Ha! Just googled ‘omani bees’ and your blog came up second in the search results, Emily! I had forgotten about this post, but it was really good and important for people to know the consequences of losing honeybee, so will include a link to it here. Thanks for reminding me! I’m guessing you haven’t got Google Verbatim turned on? Unless you do the websites you regularly look at will be affecting your search results, which is why mine came up so high! See http://support.google.com/websearch/bin/answer.py?hl=en&p=g_verb&answer=1734130 if you haven’t heard about Verbatim – us librarians need it because we’re constantly searching for different topics. An interesting and thought provoking write up and just one thing made me wonder about what Einstein supposedly said and wouldn’t he have said it like this “Wenn die Biene verschwindet von der Oberfläche der Erde dann hat der Mensch nur noch vier Jahre zu leben. Keine Bienen mehr, keine Bestäubung mehr, keine Pflanzen mehr, keine Tiere mehr, kein Mensch mehr” ? A bee-hotel? Tell me more! We have plenty of bees in our garden, they love the flowers on the grevilleas, and we also have the occasional blue-banded bee. Those ones are my favourite, I know they are solitary bees and I would love to know how to get more of them around. I’ll be interested to hear how you get on! The one in this pic IS the one on my house!! How funny! This pic came up quite high in google images. A lovely bee hotel, I was going to show it to our garden fellow at work to persuade him to get one for the RCP medicinal garden! PS Just in case, I should mention make sure you’re not subscribed to comments when you sign in otherwise you’ll always get notifications on this blog! We have half an acre of mostly scrubby bush, calling it an actual garden is being too kind! 😉 Dr Roberts certainly has an inviting hotel on his house. Unfortunately, if I put something like that up it would soon be taken over by the far less welcome mud wasp. Those little buggers fill every crevice they can around here, including the frame of our security door. Grrrr. I think I will just have to keep what I am doing, favouring plants with blue flowers and lots of lavender….oh well…. Thanks for you advice though! I love most bugs too, but wasps are really annoying, and the European wasps are quite vicious at times! I have pitcher plants on the verandah and inside and the wasps seem to love them, which is nice for me and the plants 🙂 I love Bumble bees (although there are none here in Australia) they are so cute and fuzzy! Many thanks for your hospitality at the FMBA day. I really enjoyed presenting and talking to you all. As and when more research is published, I shall shunt stuff in your direction. Thank you, Dr Roberts! It is was really interesting to hear the real evidence behind the theories, myself and Emily would enjoy reading more. Andy Pedley at Ealing Bees also appreciates having the paper to share with the association. Many thanks, again! Awesome post! Thought-provoking and important. I wonder if a bee sanctuary may help. What a brilliant initiative! Bees definitely need more sanctuaries where they are free to enjoy flowers and rear healthy brood and queens. I wish more governments took the bee problem as seriously. Amazing post. Especially for an aspiring beekeeper like myself. Thanks so much for all the useful info. I’m off to plant some lavender! Thanks! Dr Robert’s research was fascinating to listen too. I love scientists! Have fun planting lavender and don’t forget to forage some for yourself to make lavender lemonade! Lavender lemonade?! I’d never have thought of that. I’ve written about the Asian Hornet, Vespa velutina – another predator to worry about. Indeed, I’m terrified of AH for humans and bees!